T-Shirt: HELP! 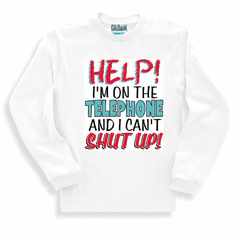 I'm on the telephone and I can't shut up! Home/Our HoneVille.com Store/NOVELTY designs/T-Shirt: HELP! 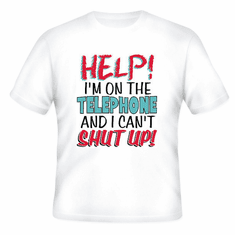 I'm on the telephone and I can't shut up! Sweatshirt or long sleeve T-Shirt: HELP! I'm on the telephone and I can't shut up! 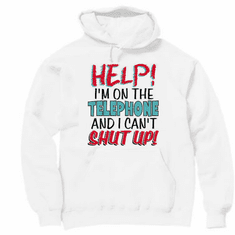 pullover hoodie hooded Sweatshirt: HELP! 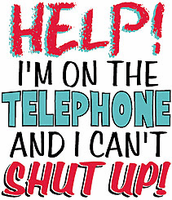 I'm on the telephone and I can't shut up!